Before Cara Delevingne attended Princess Eugenie’s royal wedding to Jack Brooksbank last month, she had one blatant etiquette question for the bride ahead of the nuptials. Typically at royal weddings, a strict dress code is relayed to guests in advance, which Eugenie and Brooksbank made exceptionally clear to their hundreds of attendees leading up to their wedding day. Men are required to wear a morning suit and a top hat while women are asked to wear dresses or skirts that fall below the knees with a fascinator or headpiece of some sort. 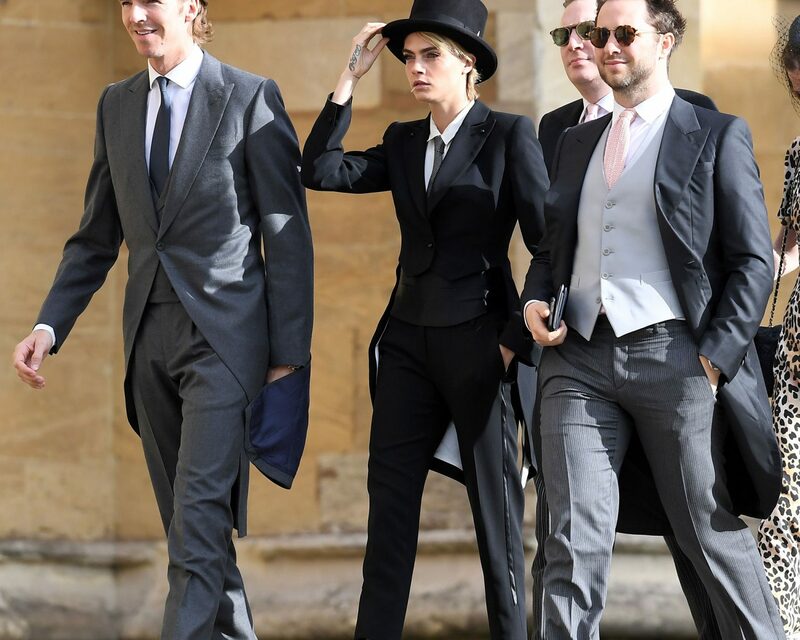 Delevingne opted to wear a tailored suit (including a tailcoat) along with a matching top hat. However, she needed Eugenie’s approval before photographers captured her in the look as she wanted to show deference and respect to the couple and the royal family. The bride was fully supportive of the choice. “She was like, ‘Of course, I expected nothing else from you!’” Delevingne recalled. Be the first to comment on "Supermodel Cara Delevingne Asked Princess Eugenie for Permission to Wear a Suit to Her Wedding"